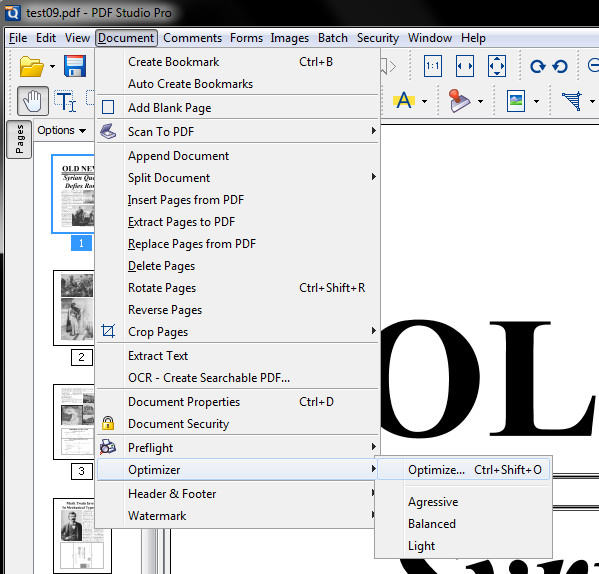 PDF Studio 10 and above is capable of optimizing PDF documents. 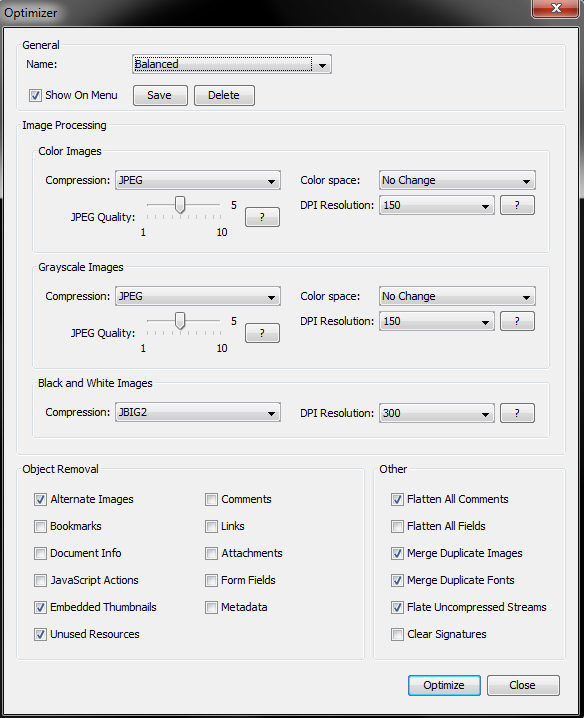 To make the process easier PDF Studio allows you to create Optimizer Profiles which allow you to save your settings to use later. PDF Studio comes with 3 default profiles that you can use or you can create your own from either a blank template or by modifying a default. The default profiles and their functions are listed below. To create custom Optimizer Profiles follow the steps below. Set all of the options that you would like to have in your profile. You can either start from an existing profile or a blank template by selecting New Item from the drop down. Once you have completed setting your optimize options click on Save. This will bring up a window to name your profile. If you are starting from a blank template this field will be blank. If you started from a previous profile the previous profiles name will be displayed. If you would like to just update the previous profile leave the name and click OK. If you would like to create a new profile just type in the new name you would like to save it as and click OK.